Olive oil is a base for many Greek traditional cookies. There are many kinds of these cookies starting with the famous melomakarona (honey cookies), moustokouloura (must cookies), Sousamokouloura (sesame cookies), krasokouloura (wine cookies) and Ladokouloura (meaning olive oil cookies) , each one having a unique taste according to the ingredients added. Every Friday morning we have our Tupperware meeting and some of us bring along cookies, cakes, pies etc. Two Fridays ago we had tons of things to eat but I liked these ladokouloura (biscotti) a Cretan lady had brought with her and I asked for the recipe. I shall give you the exact recipe as it was given to me and you can make as many as you like. I made one fourth of the recipe and had quite a lot of cookies. When baking them, I had a misfortune which in the end wasn’t that bad but I was upset at the time. Just a little while after putting the tin in the oven we had power failure. They were nice and brown outside but inside they were still soft. So instead of baking them the second time for ten minutes, I cut them with the knife and spread them in the tin and they baked only with the warmth of the oven. I forgot to ask her about instructions, so I mixed the liquid ingredients first and then added the remaining ingredients. I divided the dough in half and form two logs. I placed them on a baking tin lined with parchment. I baked them for about 35 minutes in a preheated oven to 180 degrees C, or until logs were light brown. When able to handle them I cut them into 1cm slices. I baked them again for about 10 minutes, until dry. Baking time varies if made into smaller biscotti. wow! step by step pics explanation is really very good ivy! olive oil biscotti is really super! Ivy they look great…however aren’t they παξιμαδια? Sorry if I’ve daid the wrong thing. It seems that there’s lots of power failures in Athens, Ivy! This would drive me mad too!!!! However, your cookies look fantabulous :D. Your kids are lucky to have a mom that likes to bake so much!!! Thanks, everybody for your lovely comments. Peter, paximadia is something very hard. No these are definitely koulourakia, translated into biscotti. Nuria, today, we had no internet all the day. They told me that the Greek telecommunications company were doing some work near my neighbourhood, it was just something local. Sis, I’ve made a few things with the craisins but don’t find the time to post them yet with all the food events going on. I shall not commit with other events as I have a lot of seasonal recipes to post and some of them are with craisins. Looks good Ivy – I have never made biscotti. Oh, these look great! I love the flavor of olive oil in sweet baked treats. I actually usually use olive oil in my brownies. I swear it makes them better. Thanks Cake, they are very easy to make. Hi Jessie. Thanks for visiting. I’m glad you found me here because I was trying to find you at Fuel my Blog. Thanks for the vote. I’ve added you to my reader and blogroll. This looks delightful! 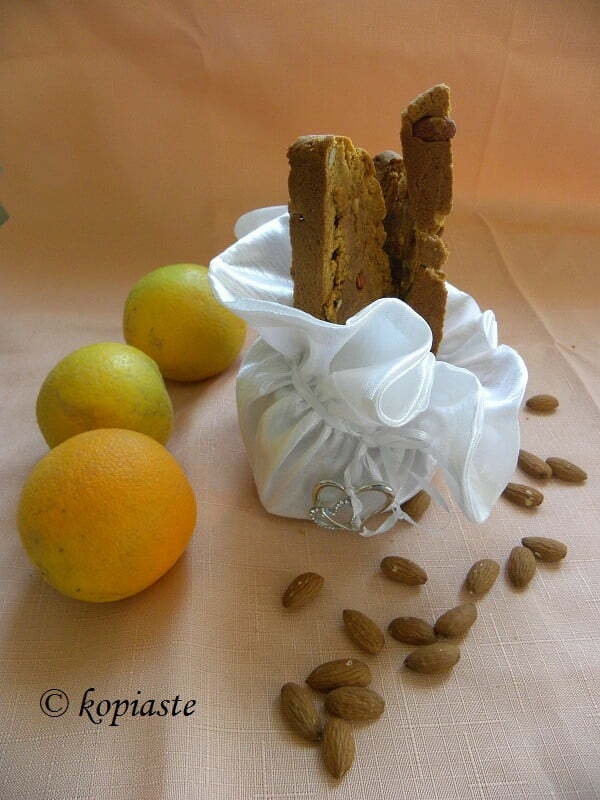 I’m going to make them when my in-laws come to visit in a couple of weeks – my mother in law loves biscotti. Hi Ivy! These look wonderful, I’ve never baked with olive oil before! I can’t wait to see how different it is from flavor and texture of the cookies baked with butter. Thank you for the recipe! Hey, thanks everybody for commenting. Maria, I want to welcome you as it’s the first time you are visiting and I hope you will be visiting more often. Maria and I have become friends via e-mails but Maria is new to blogging and I have unofficially adopted her. I have left answers to your queries on the choco-pistachio roll below your comment on my blog. Hope it helps. Thanks, shall check your answer. These sound wonderful Ivy! I’m starving right now and would happily eat these for dinner. How delicious Ivy! I love biscotti. And koulouria :)I have never made koulourakia myself…what a horrible Greek I am. I always just eat my yiayia’s when I see her. Hah. I need to make some myself! Oh Ivy your biscotti really is lovely, this is something I have on my list of to do bakes having never made this as yet!